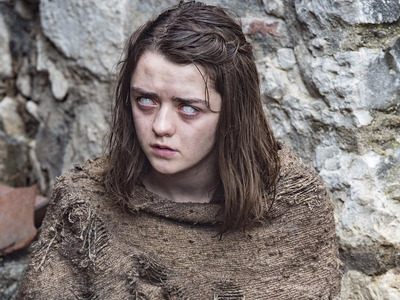 They mulled over theories like “Arya and the Waif are the same person” and “Jaquen H’ghar was really testing the Waif, not Arya,” but they all turned out to be wrong, based on last week’s episode, when Arya killed the Waif and quit the Faceless Men with surprisingly little resistance from Jaqen H’ghar. Fans are trying to create theories to explain away these inconsistencies — even though the real answer is that it’s probably just some bad writing on “Game of Thrones'” part. One of the most confusing parts of last week’s episode was when Jaqen told Arya “now a girl is truly nothing,” a statement that doesn’t really line up with the rest of her training in any way. Redditor Sao-Gage found a post on the Wiki of Ice and Fire that suggests that the reason why Jaqen said this was because Arya symbolically killed her old, vengeful self when she defeated the Waif, becoming No One. They also suggest that the Waif was not a good model for what the Faceless Men were really about, despite her apparent prominence in the hierarchy. Sure, it’s possible that this is what happened, but isn’t it more likely that the “Game of Thrones” writers just wanted Jaqen to tee-up Arya’s “I’m Arya Stark of Winterfell, and I’m going home,” line, regardless of the minor plot holes it created?